Exercise is vital for good health. Although seniors should check with a doctor before starting an exercise program, chances are the activity will be highly recommended. If your loved one is reluctant to exercise, a professional caregiver can help motivate him or her. Rhode Island elder care experts are available to provide high-quality care to seniors on an as-needed basis. From assistance with mobility and exercise to providing transportation to the doctor’s office and social events, there are a variety of ways professional caregivers can help your aging loved one continue to live independently. Physical exercise need not be strenuous. If your elderly loved one has been somewhat sedentary, he or she will want to start slow. Stretching should be a regular part of any exercise plan your loved one chooses. Stretching increases flexibility and range of motion, and it is especially important for seniors who have lost flexibility. The National Institute on Aging advises older adults to regularly stretch the muscles from the neck down to the calves. Stretching major muscle groups does not require a lot of time and has many benefits. It helps warm up cold muscles before an activity and encourages muscle relaxation after finishing a routine. Walking is a low-impact activity that increases general endurance. It does not require special equipment and is gentle on weight-bearing joints. Proper footwear can also help lessen the impact of walking on the feet. When starting out, your loved one should not feel compelled to walk great distances. Instead, your loved one should take time and gradually increase the distance, aiming to walk 30 to 60 minutes, three to five times a week. Walking helps boost cardiovascular circulation and provides the impact needed to build stronger bones. Encourage your loved one to challenge him or herself by varying the terrain. Riding a conventional bike, a stationary bike, or a recumbent bike is a great way to get low-impact exercise. Cycling helps boost cardiovascular health and blood circulation, strengthens leg and hip muscles, increases joint and muscle flexibility, and reduces blood pressure. Exercising outside in fresh air and under the sunshine is a wonderful way to boost mood. Some stationary bikes also feature handlebars that move alternately and exercise the arms, the upper back, and chest muscles. While many people enjoy gardening for the foods they harvest, it is also a good way to get exercise. Whether digging, planting, watering, or weeding, the actions work many different muscles simultaneously. If bending, squatting, or kneeling on the ground is difficult for your loved one due to physical limitations, a gardening stool and tools with long handles can help. Gardens can also be created in containers, in raised beds, or on trellises. This low-impact sport is a good way to get outdoors, socialize, and get a bit of exercise. From bending to place the ball on the tee to swinging the club, the motions involved in golfing are all forms of exercise. Bending increases flexibility, and swinging increases arm and upper body range of motion and strength. Walking across different types of terrain boosts blood circulation and cardiovascular health. 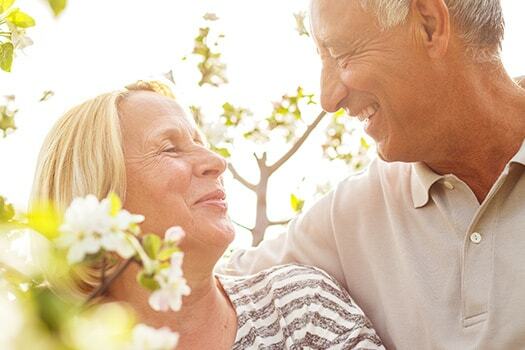 Encourage your loved one to go outside and do one or more of these exercises this spring. You may want to consider hiring a professional caregiver to motivate your loved one to exercise regularly. To successfully age in place, some seniors require the help of a professional caregiver. In Rhode Island, families rely on Home Care Assistance to provide caregivers who are expertly trained in various aspects of senior home care, including our holistic Balanced Care Method, an evidence-based program focused on healthy eating, regular exercise, mental and social stimulation, and calmness and purpose. Our caregivers can also support seniors who have serious health conditions such as Alzheimer’s. For reliable Alzheimer’s home care, Rhode Island families can turn to Home Care Assistance. We are a leading provider of professional memory care designed to help seniors maintain a higher quality of life. In addition to Alzheimer’s care, we also provide comprehensive dementia, Parkinson’s, and stroke care. From revolutionary care programs to compassionate and dedicated caregivers, we can meet all of your Alzheimer’s home care needs. Call (401) 284-0979 to speak with a Care Manager and learn about our flexible care plans.